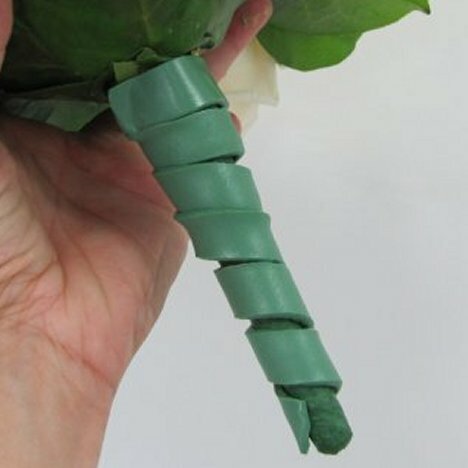 Although I'm going to ribbon wrap the handle of this particular bouquet, I can't resist showing you how to get those fabulous "grass" bouquet handles you see on Pinterest. 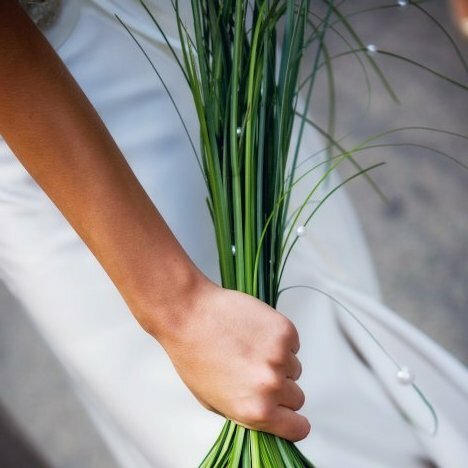 The latest bouquets feature lavish additions of greenery varieties and beautiful grasses. This is lily grass. The long blades of grass are broader and longer than the finer Bear Grass and covers easier. 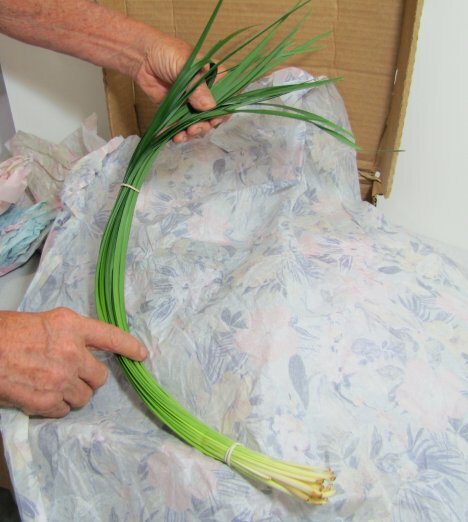 Both bear grass and lily grass bend easily (steel grass breaks easier) This is one bunch of lily grass. I like to give my greens a soak in a tepid bath after arriving in the FedEx boxes. Do NOT use flower food in any buckets or water for the greenery. It doesn't hurt or wilt them - but it can cause some types of greenery to turn into a yellowish shade. Although some florists use double sided sticky tape for their handles, I like using green floral clay. This comes on a large round roll with the fresh clay separated by a waxy paper. The clay is really tacky and will hold even wet stems or grass tightly against the handle. I just wind some of the clay down the stem as shown. 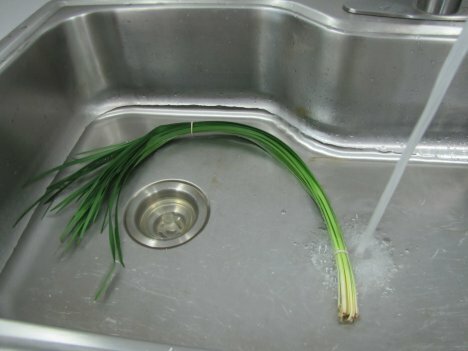 Taking several blades of lily or steel grass (shown) at a time, press the grasses against the sticky clay. When the entire handle is surrounded, grip the holder tightly and press with a tight squeeze to secure the grasses. 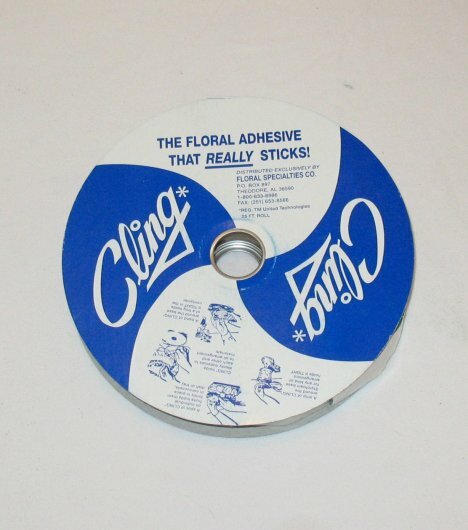 Then tie off the top with either waxed florist string or several windings of florist tape. Here shown is how you can slide up pearls on various blades of grass. A tiny dot of floral adhesive in the hole will help the pearls stay in place. 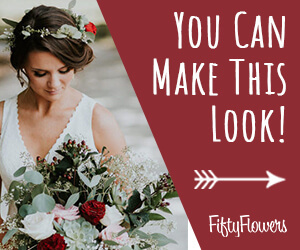 Keep in mind that this type of handle has to be done AFTER designing the bouquet - otherwise it is going to be awkward to secure your bouquet holder firmly enough to insert the flowers and greenery.